The East TN Pit Bull Rescue (ETPBR) has had some tough cases lately, causing a pile-up of vet bills. Mary Kay was a shelter dog scheduled for euthanasia due to her extensive skin issues when ETPBR had mercy on her. She spent 23 days in boarding with specialized medicine and medicated baths to address her problems. Olaf came into their rescue with every bone showing, a severe skin infection, and was heartworm-positive. The rescue continues to rack up expenses for his treatment. Zeus is a 6 month old pit who lived in a low spot in a yard on a tie out with a plastic crate for a dog house. Every time it rained… he would be huddled on top of that crate because there would not be an inch of ground showing and the crate would be full of water. He had a nasty skin infection and ear infections as a result. He was bone skinny and full of parasites. He is now fully vetted, microchipped, and ready for his forever home. We are happy to help ETPBR by paying their vet for these needed services. Xavier the shelter dog caught a break by being pulled in by the East TN Pit Bull Rescue (ETPBR) after multiple shelter workers went to bat for him. He wiggled and snorted into the hearts of so many. 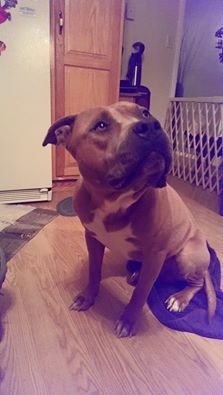 After the shelter neutered, vaccinated, and chipped him, they learned he had heartworms. ETPBR did not let that sway their commitment to Xavier. His treatments have already started at Butler Animal Clinic. We chipped in $300 to help with the costs. The East TN Pit Bull Rescue has been hit hard lately with some big needs in the thousands of dollars. Two immediate needs are heartworm treatments needed for Handsome and Joey, so we contributed $500 to their vet to get those boys on the road to recovery. Michelin (now Thor) was picked up by animal control dragging a tire and a cinder block on a heavy chain. He had gotten himself stuck in a ditch on a frigid night. His owners reclaimed him from a local shelter, and it happened again. This time, they didn’t come for him. Enter East TN Pit Bull Rescue (ETPBR). They pulled him from the shelter and put him in foster care, although he tested positive for heartworms while at the shelter. His treatments have now begun, and he is on the road to recovery and happiness! There are no more chains, tires, or cinder blocks! His new name is Thor, and he has a brand new life. HPAN paid $300 on his vet care. The East TN Pit Bull Rescue shows no partiality when it comes to pit bulls. They don’t have to have a certain look, be a certain color, or be from a certain area. They help Tennessee pit bulls in need. Period. They are so good about taking on the hard cases, the dogs who have demodex mange and heartworms. Without ETPBR, these dogs would surely die, which is why we like helping them. 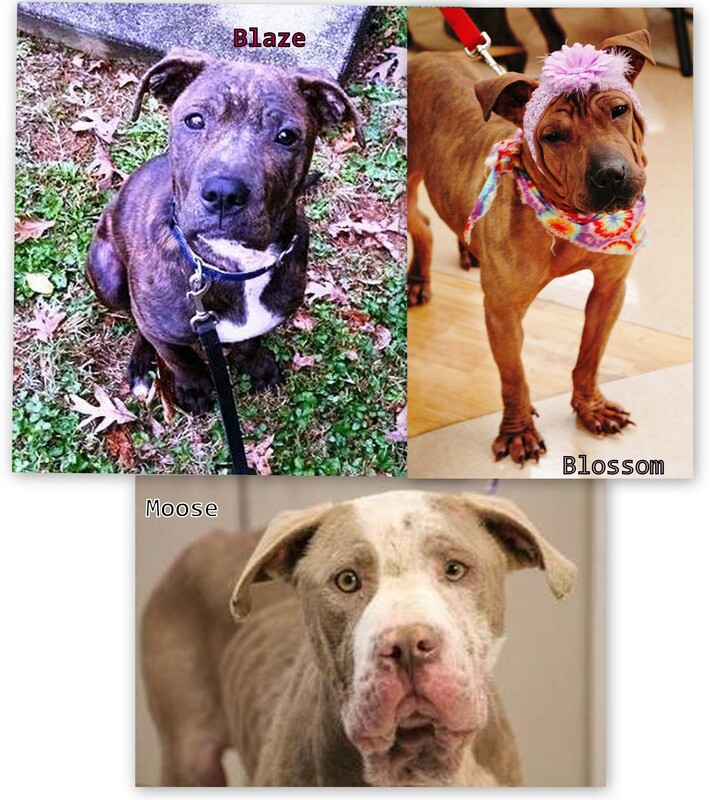 The dogs with demodex, such as Moose, Blossom, and Blaze, along with a few others, need medicine every day until the mange is cured. The medicine costs about $50 for ten days, so we sent them $300 for a two month supply. 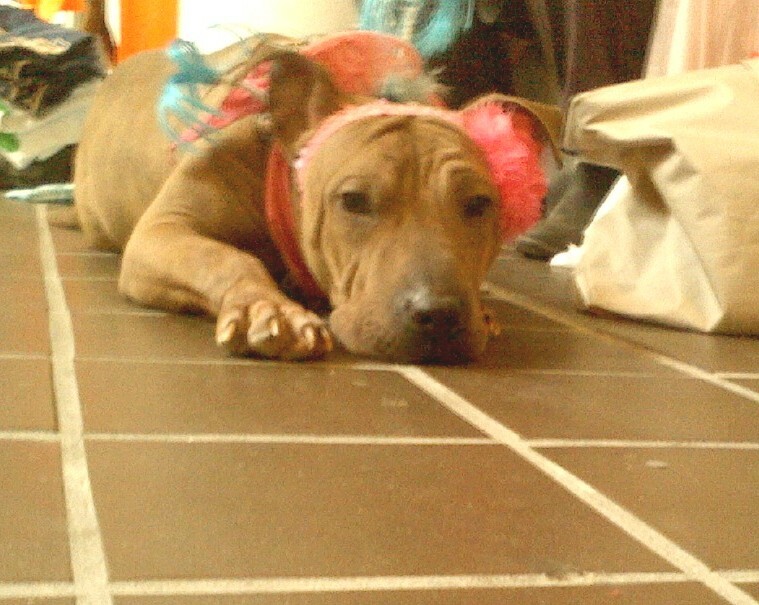 Blossom has been with the East TN Pit Bull Rescue (ETPBR) for just over a year. She came to them without a hair on her body and a raging skin infection. They have spent a year getting her skin cleared and her beautiful hair grown back. Blossom made a near-fatal mistake recently and ate a large portion of a fleece blanket. A trip to Animal ER saved her life as she was ordered into emergency surgery, where part of her bowel had to be removed. Today, two days post-surgery, Blossom is walking, eating, and drinking normally. Her life was spared, but at an expense of about $2,000. HPAN kicked in $500 to help this worthy rescue. They have taken some hard hits lately with medical issues. When we help them, they can help more dogs. Yes, it was our pleasure. 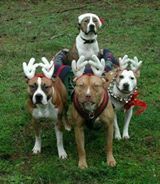 The East TN Pit Bull Rescue (ETPBR), located in Harriman, Tennessee, has many dogs in their rescue. Many have required expensive medical treatments, which eats into their budget for basic items like food and preventives. We at HPAN thought that a $250 gift card to Pet Supplies Plus would help bolster their budget just a little so they are not so strapped from the medical expenses. This amount will purchase eight bags of dog food for their rescue babies. Merry Christmas, ETPBR!